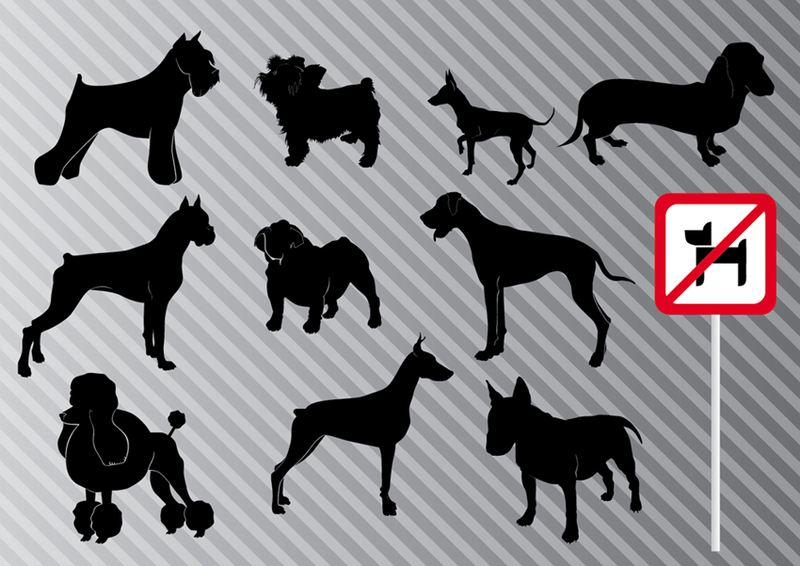 Vector pack of various dogs. Vector silhouette set, including Spaniel, Boxer, Shepherd, Bulldog, Chihuahua, Labrador, Retriever, Pekingese, Terrier and Yorkshire. Vector Artist: www.webtoolkit4.me 0.